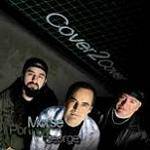 More information: 'Cover 2 Cover' is the second cover CD from Neal Morse, Mike Portnoy and Randy George. Together this group of musicians hand-picked these classic cover songs to complete the second such CD in the bands extensive catalog. This widely diverse selection of songs is sure to capture the essence of the age of music that has impacted these accomplished musicians.